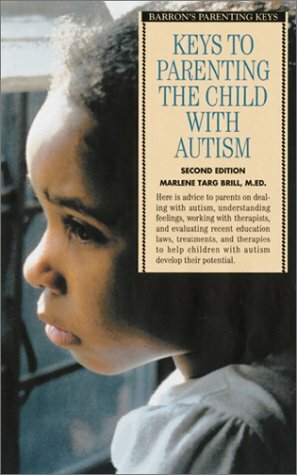 Keys to Parenting the Child with Autism (2nd Edition) by Marlene Targ Brill, M.Ed. This book reflects current trends and technologies used in diagnosing and treating autism. Parents will find balanced and up-to-date information on therapy, education, health care, and other areas. It contains advice and information from experts in psychology, physical health, education, and social and personal development. Pp. 224.